Zone 5. 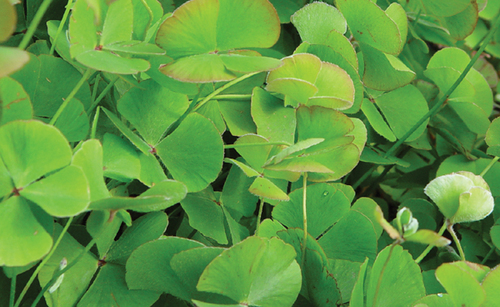 Hardy Four Leaf Water Clover. Bright green upright foliage. The hardiest of all the clovers. Makes an excellent ground cover. 8" to 10" tall.